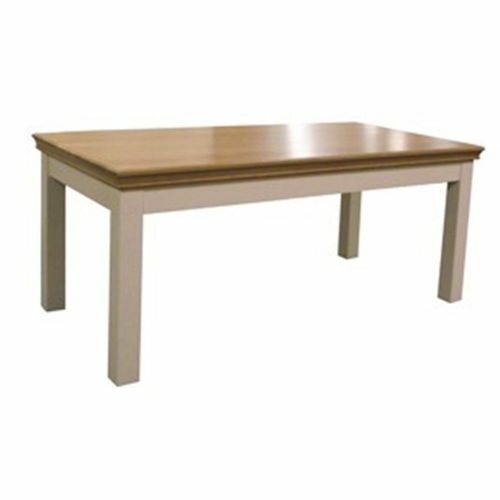 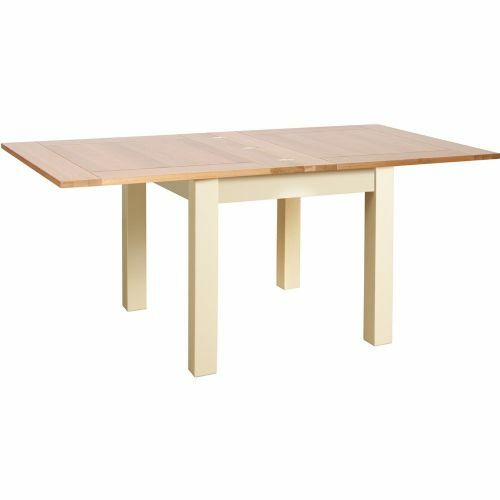 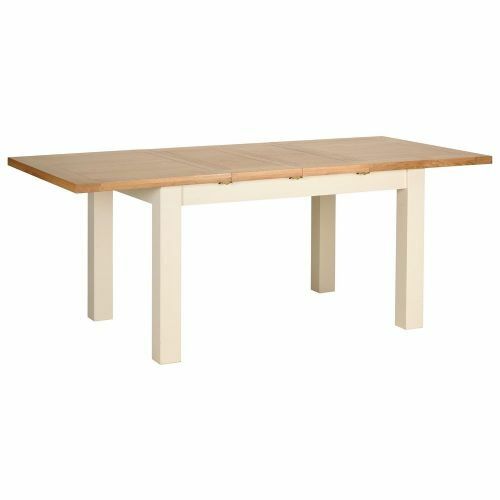 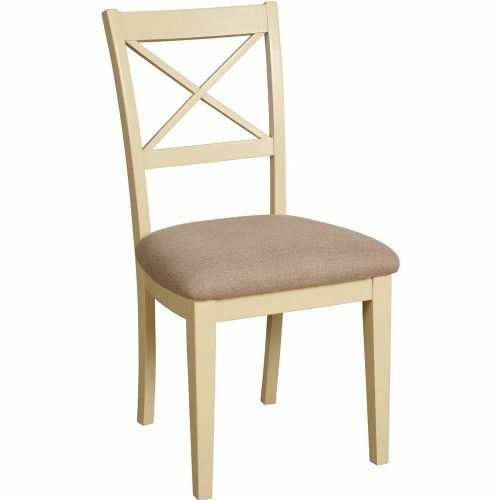 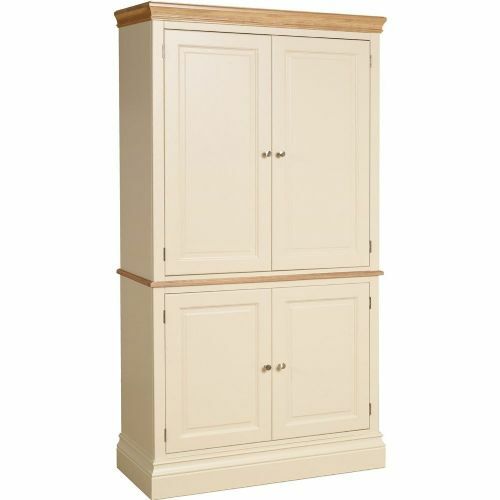 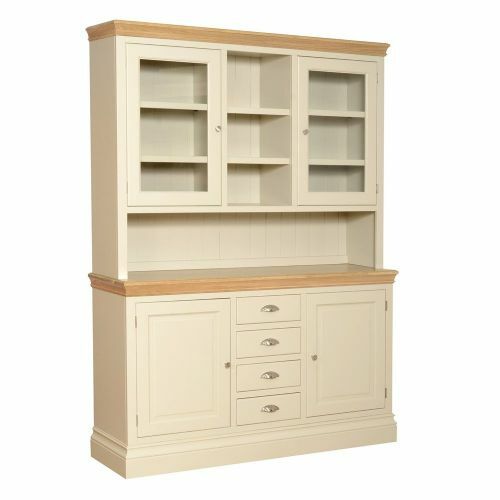 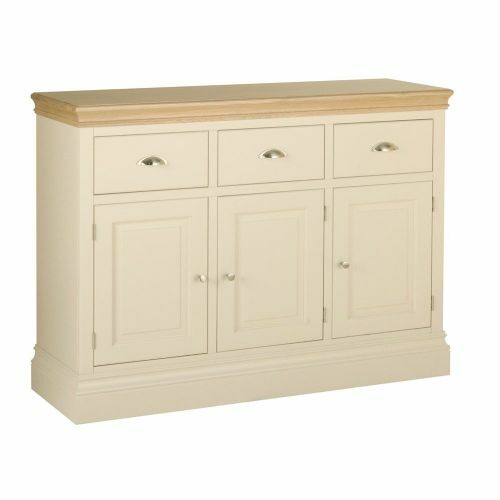 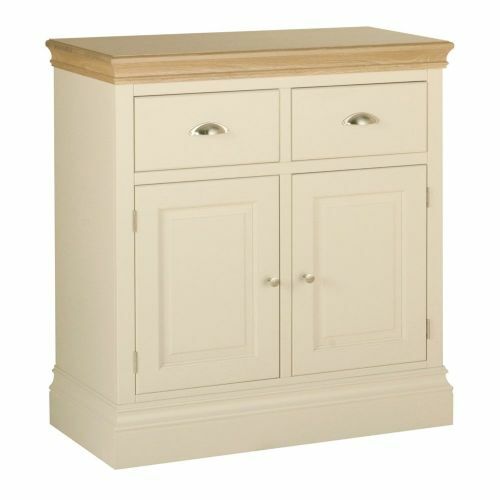 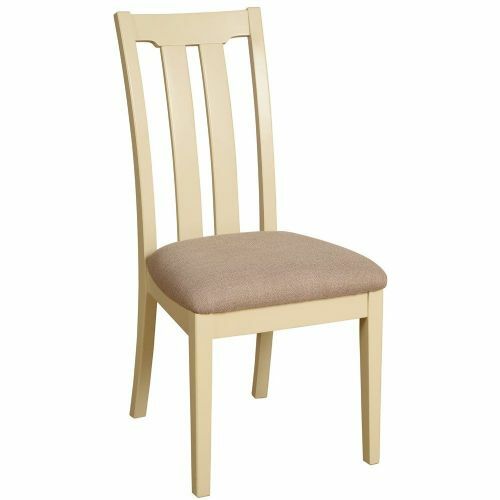 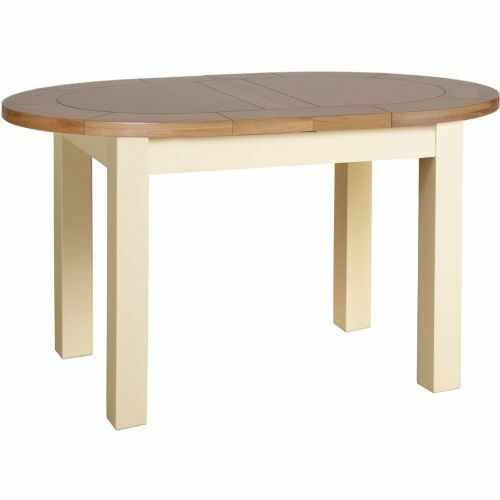 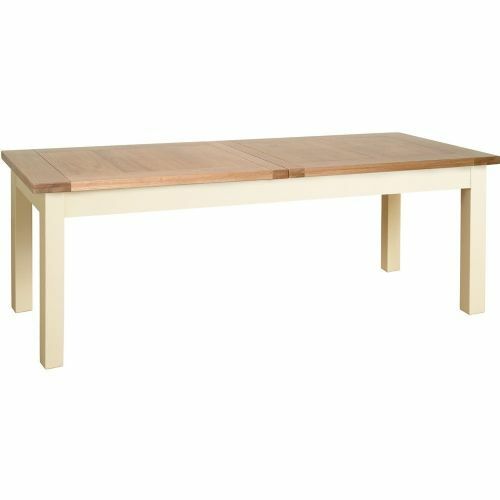 The Tatton dining room range is finished in an Ivory coloured paint and has lacquered oak tops. 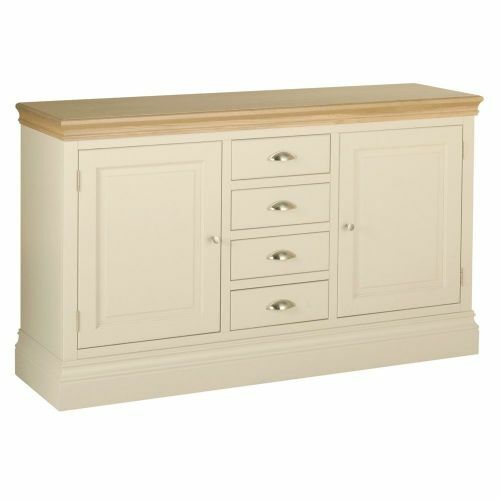 All drawers have dovetailed joints and solid tongue and grooved drawer bases with polished silver half moon handles. 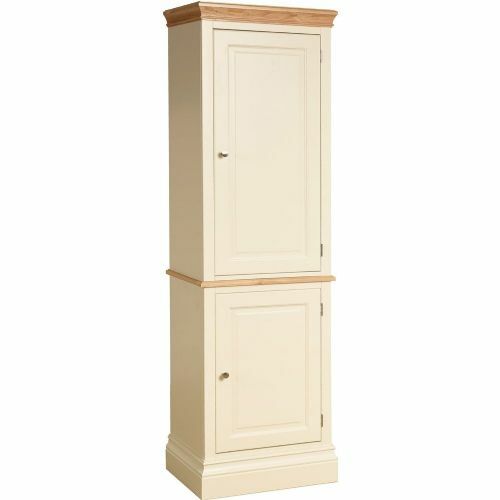 All doors come with polished silver trumpet knobs.